This spacious room on the Noth-West side of the house has beautiful mountain views. In summer this is our collest room. It has free Wi-Fi, air conditioning and under floor heating. There is also a flat-screen satellite TV, a seating area and coffee and tea facilities. 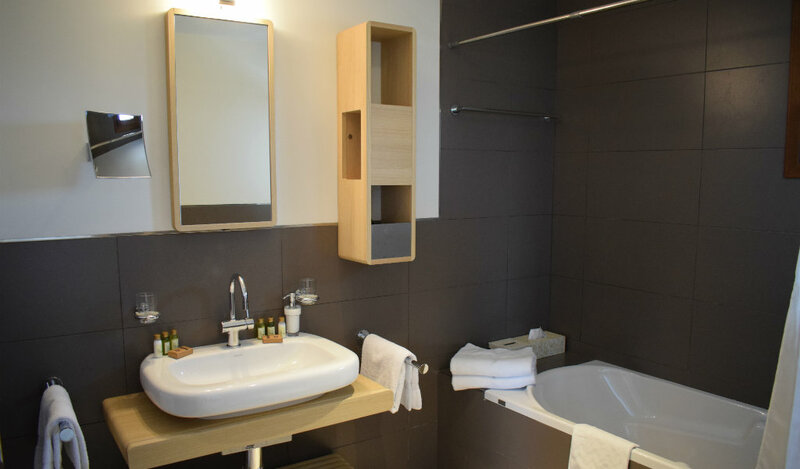 The en-suite bathroom comes with a bath tub, sink, toilet, hairdryer magnifying mirror and free toiletries. 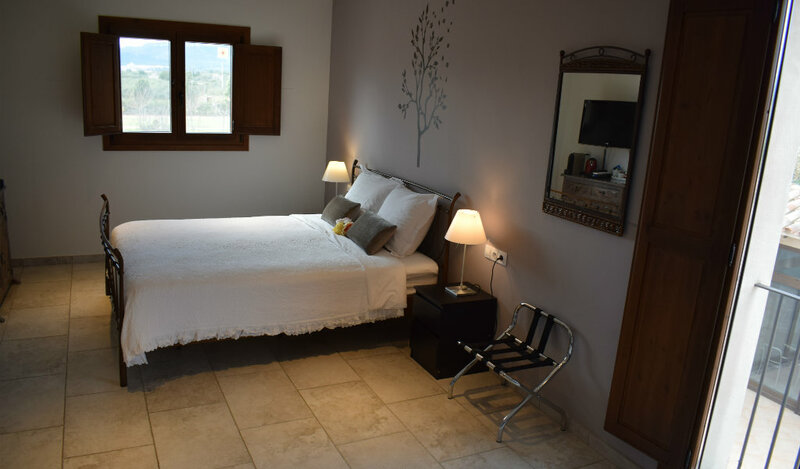 Room size: 19 m², accessible by stairs.